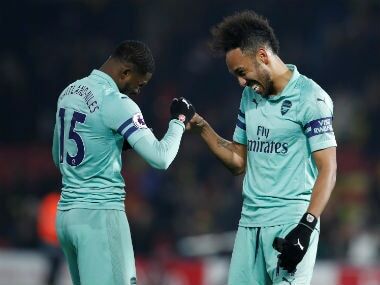 Crystal Palace's 1-1 draw at Watford in the Premier League had a sting in the tail as an argument blew up over the behaviour of the home team's mascot Harry the Hornet. Palace forward Wilfried Zaha, booked for diving in Monday's match, was clearly upset and ushered away by staff when the mascot performed a mock dive at his feet after the final whistle. "The mascot was out of order," Palace's new manager Sam Allardyce told reporters, suggesting the incident should be investigated. "The Premier League and FA can look at that and do what they want to do," he said. "That's up to Watford to sort that out really. It could have made the wrong reaction as we know. The mascot is out of order, isn't he? If someone is diving, they don't get that angry. But I'm concerned about my team and the overall performance." Watford manager Walter Mazzarri preferred to look at the funny side. "I think we should laugh all together, football is nice for these things, it doesn't have to be a drama," he said. 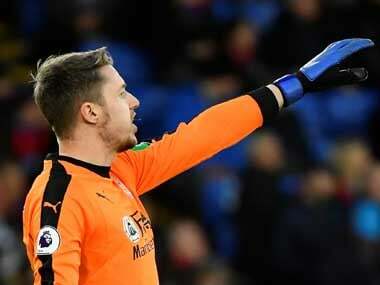 Watford did not comment on Tuesday although Sky Sports said the club would not be taking action. 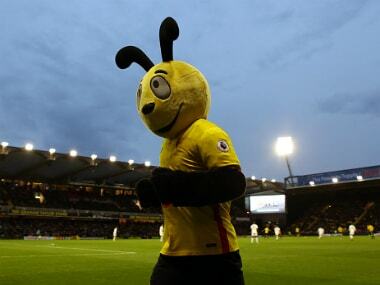 The mascot said on his Twitter account OfficialHarryHornet: "I respect all professional footballers and always wish away supporters a safe journey home." His opposite number, Palace mascot Pete the Eagle, said the episode had been blown out of proportion. "That mascot stuff made the back pages?! Really?! Baffling. Perhaps news outlets are struggling for new angles for stories?," he said on Twitter. "We're eight-foot furry creatures, and most of us don't take ourselves too seriously. We're there to add to the Matchday experience."